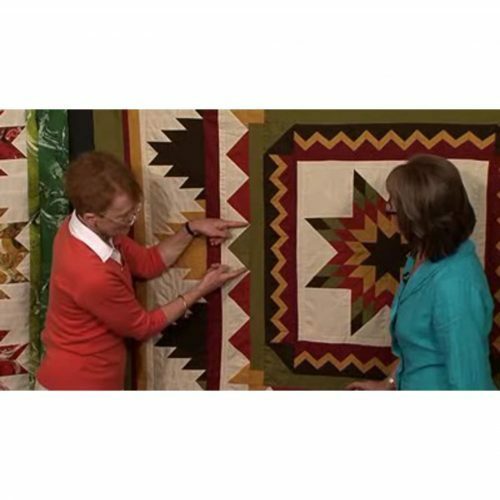 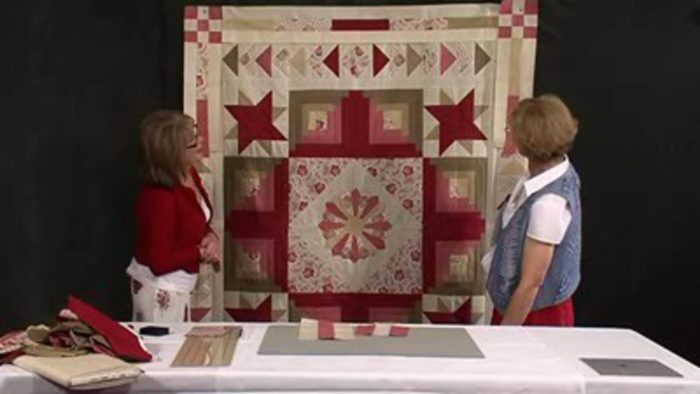 Jennie and Valerie discuss the change of border option and then the quilting possibilities. 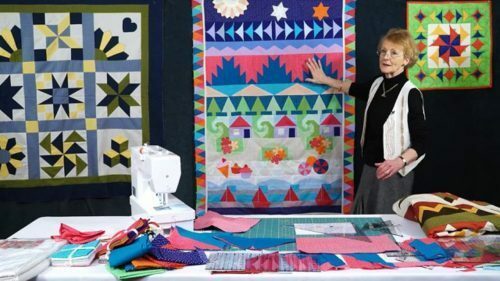 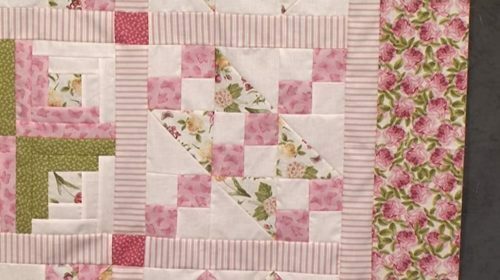 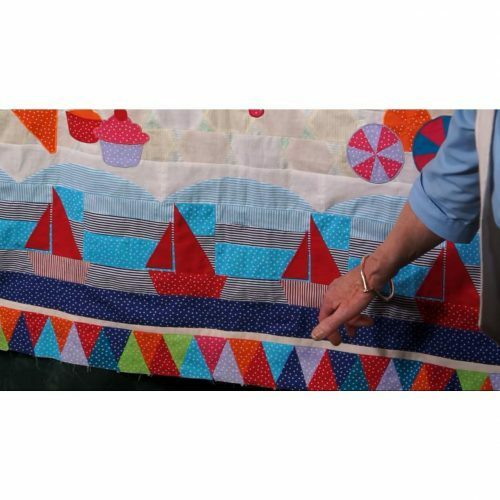 See how Jennie and Valerie change the square medallion quilt into one that is more bed-shaped with the simple use of a triple-rail border with 9 patch corners. 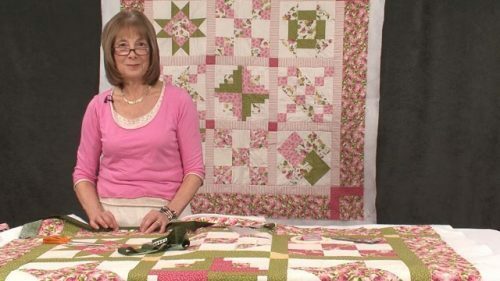 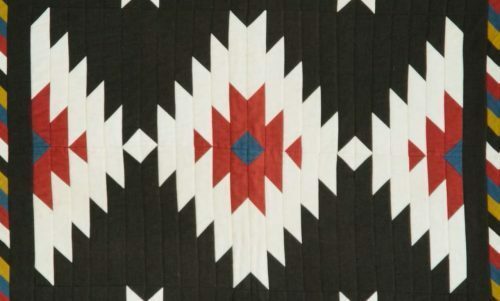 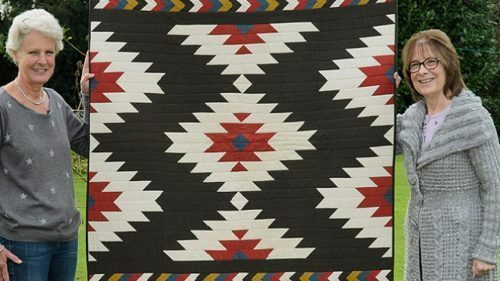 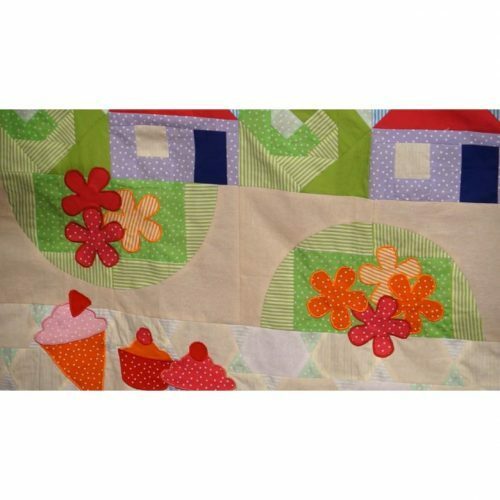 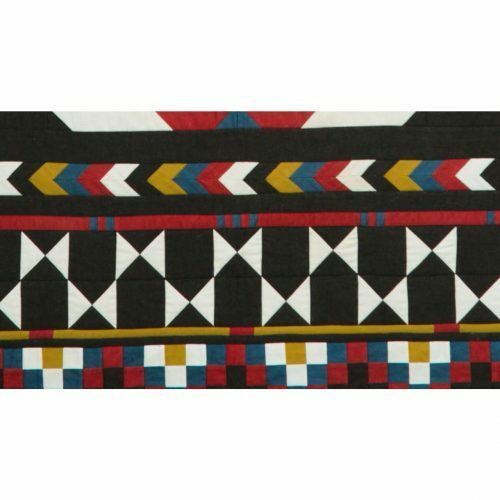 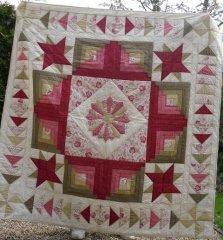 This allows you to use up lots of the remaining fabrics and is always a good option for a quilt of any size. 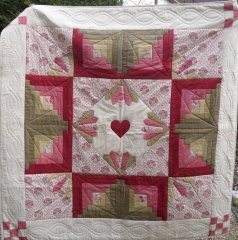 and this is what was made with the left overs (i.e. 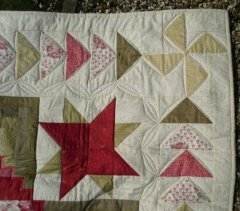 pieces made as work in progress for the camera!) 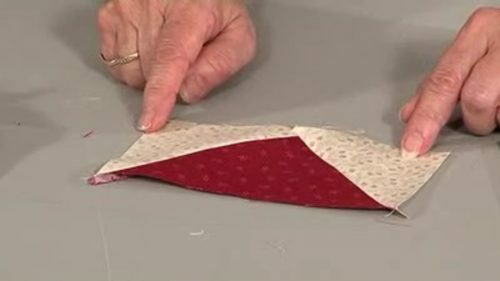 The Grandmother’s fans (using the Dresden Plate template) were left 3D and the quilting kept as simple as possible using the walking foot.